Between Gold and Rose Gold, you’ve covered our current favorite colors. Anyone else in this boat? Thankfully, these colors are trending and have made their way into everything from home decor and office supplies to weddings. 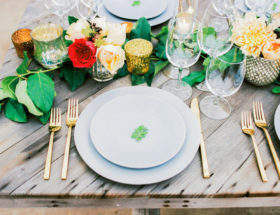 When it comes to weddings, one of our favorite ways to show off a little gold color is with stationery. 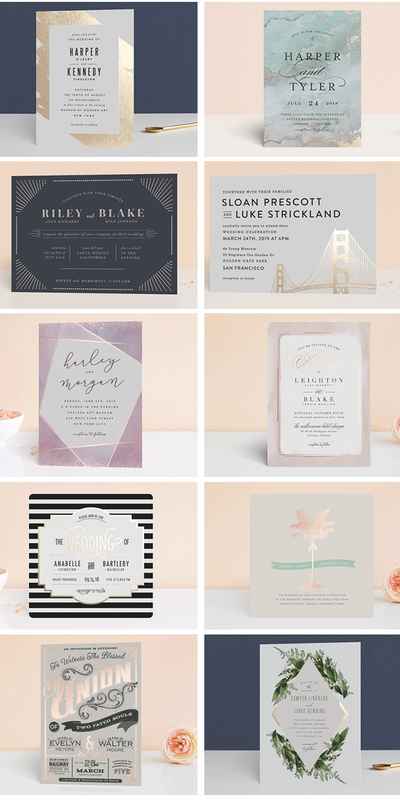 Minted recently launched a beautiful new line of custom gorgeous gold foil wedding invitations that we can’t get enough of! The foil instantly upgrades your invites for a supremely elegant and special look. With so many gorgeous options, we thought we’d share a few of our favorites! From clean & modern to trend setting & tropical, these invites will guarantee an RSVP ;). And the fun doesn’t stop here! 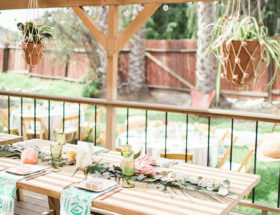 You can continue using your chosen style across multiple wedding elements to guide your guests; from the save the dates to the wedding website and even day-of decor. Not seeing exactly what you’re looking for? Minted’s Design Associates can create completely custom designs as well! Obsessed with gold foil invitations! Oooh these are SO pretty!